Yeshiva University’s affiliated Rabbi Isaac Elchanan Theological Seminary (RIETS) in 1988. Semikhah Yadin Yadin, the highest level of rabbinic ordination, from the late Torah sages Rabbi Mendel Zaks and Rabbi Moshe Duber Rivkin. For 20 years, he studied with the late, revered Joseph B. Soloveitchik, Leib Merkin Distinguished Professor of Talmud and Jewish Philsophy at RIETS, who was considered the foremost authority on Halakhah (Jewish law) and chief mentor and inspiration of authentic Jewish leadership on this continent. For ten of those years, he was Rabbi Soloveitchik’s assistant. Rabbi Kahn was appointed Rosh Kollel of RIETS’ prestigious Kollel Elyon at its inception and served in that position from 1983 to 1998. Yevul Hayovlot, which contained a sampling of the Torah scholarship of Yeshiva’s roshei yeshiva since its inception. He is also the author of nine volumes spanning the entire range of Jewish scholarship. Rabbi Kahn completed eighteen year tenure as spiritual leader of the Downtown Talmud Torah Synagogue on Manhattan’s Lower East Side in 1987. 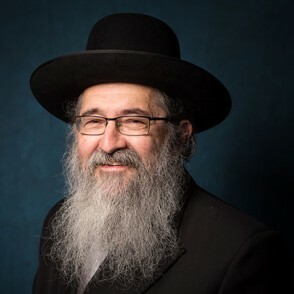 He then moved to the Flatbush neighborhood of Brooklyn where he established Knesseth Bais Avigdor, a unique congregation that provides opportunities for lay people to engage in serious Torah study on a daily basis. His wife, Rebetzin Rachel Kahn, is the principal of the Bais Yaakov of the East Side. Mr. Jablonski established the Chair in Talmud and Codes in memory of his parents, Chaim and Sima Weissman Jablonski, and his brother, Bezalel in July, 1988.